Emma Rice is back. 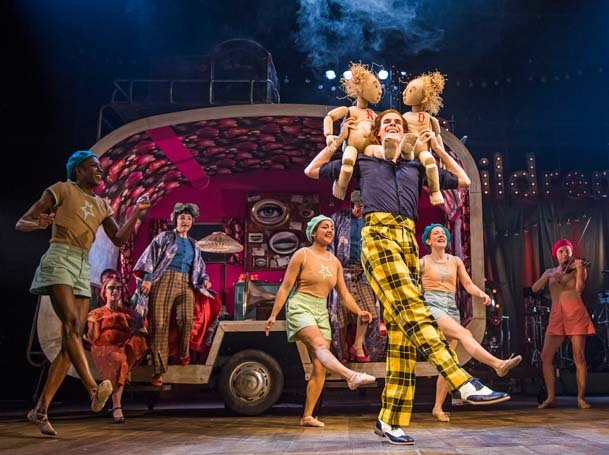 After her acrimonious departure from Shakespeare’s Globe earlier this year, the former artistic director of Kneehigh returns with a new company and a new show. 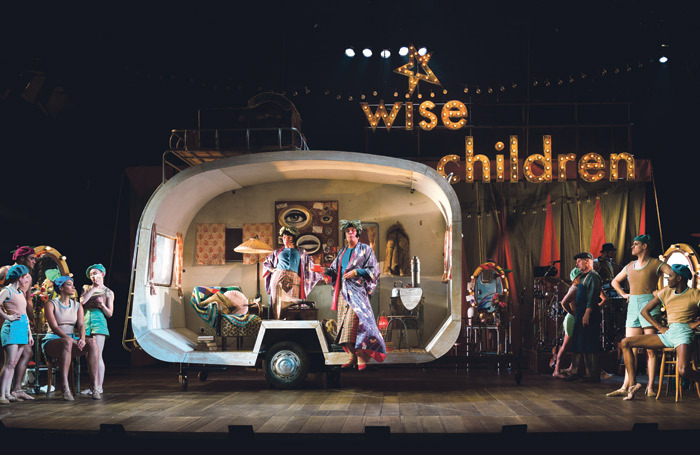 Wise Children are at the Old Vic with their first production – er, Wise Children – until November 10th, when the show embarks on a six-month national tour. Wise Children is an adaptation of Angela Carter’s 1991 book of the same name. Her last novel before her death in 1992, it is a joyously messy story of twin sisters Dora and Nora Chance, their lifelong love of performance and their brilliantly bizarre theatrical family. 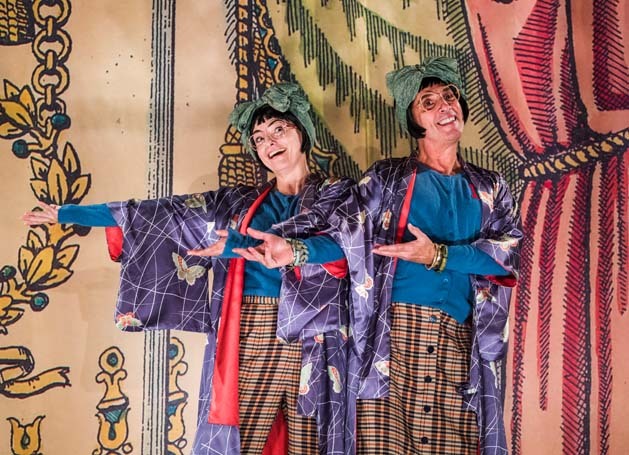 Rice’s stage version has an ensemble of twelve and a live band, plus a set design by Vicki Mortimer, music from Ian Ross, and choreography from Etta Murfitt. It’s also gender and ethnicity-blind, with the diverse cast trading roles throughout. But will Wise Children cause a splash with its self-titled debut? Will the ghosts of the Globe be dispelled in typically raucous, typically Rice fashion? Will the critics rejoice in Rice’s return? Angela Carter’s Wise Children is a book of substantial scope, flitting backwards and forwards in time to chart the adventures and escapades of a sensational showbiz family. How well does its sprawling story spill onto the stage in Rice’s adaptation? Most critics think the switch from page to stage is a successful one, with plenty pointing out the show’s appropriate emphasis on the lure of live performance, warts and all. “Extended skits about RADA training techniques and the inaccessibility of Chichester may easily soar over a lot of audience members’ heads, and it’ll be interesting to see how the London-centric narrative plays while the show’s on tour,” he observes. The story sits well on stage, then, but what about the way it’s told? Is Rice’s direction as gleeful and giddy as it ever was? Of course it is. “The Rice style – a sort of wild, knowing, joyous descendant of vaudeville – is very much in evidence,” reports Lukowski. “Full of bonking and bawdy and wilful staginess, Rice’s adaptation careens forwards on sheer brio, with the Chances played by one set of puppets and three pairs of actors – most notably, at their dancing peak, by Melissa James and Omari Douglas – whose genders and ethnicities switch at each turn,” he explains. It’s “a messy and often melancholy experience, frequently magical and pleasingly weird”, according to Tripney, who opines that it’s “not Rice’s most soaring work perhaps but still a joy”. Rice remains Rice, then, and her exuberant staging of Carter’s expansive epic bursts with theatricality. But does the cast match up to her madcap mania? It’s Owen who snatches the lion’s share of the plaudits. She’s “brilliantly vibrant” according to Ben Dowell (Radio Times, ★★★★ ), “absolutely sensational” according to Lukowski and “steals the show with saucy double entendres and fantastic physical comedy” according to Akbar. But there’s plenty more praise for the cast to share around – Mark Shenton (London Theatre, ★★★★ ) praises the “rich work” of a “stunning ensemble” – and there’s even a little love for Ian Ross’s music, which Dowell labels “a delightful, cheery mess”. Wise Children – Is it any good? Yes, it’s good. 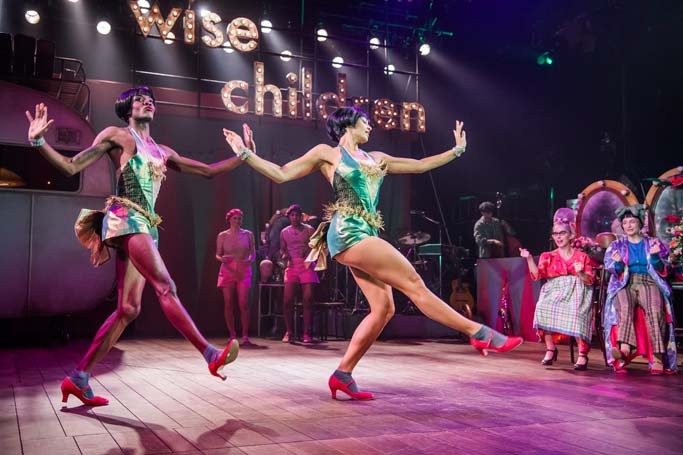 Wise Children’s first show is perhaps not an all-time classic, but its certainly recognisably Rice – joyful, jubilant and utterly, utterly theatrical. Carter’s sprawling story makes sense on stage, the cast cavorts with abandon, and Rice does her thing. A phalanx of four-star reviews suggest that the post-Globe Rice renaissance is off to a solid start.